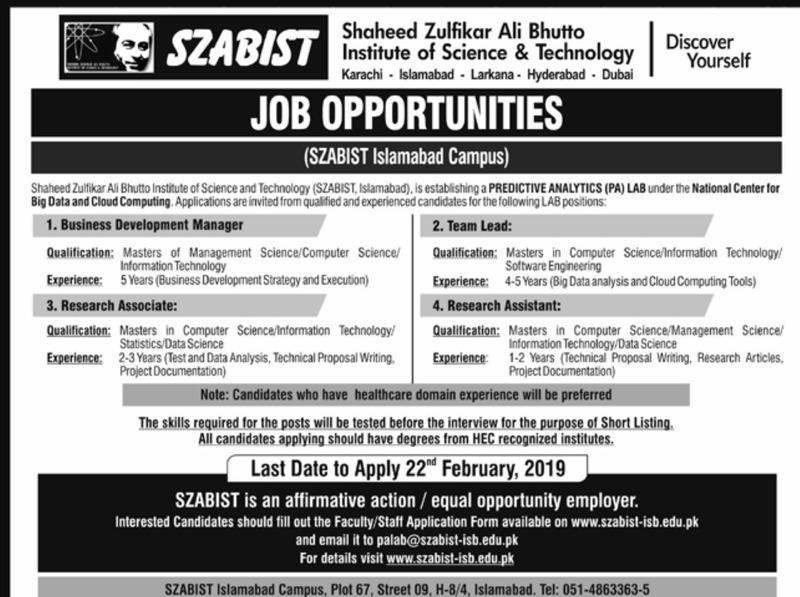 You may have at this page SZABIST Jobs 2019 Shaheed Zulfikar Ali Bhutto Institute of Science & Technology Latest. The posts of Business Development Manager, Team Lead, Research Associate, Research Assistant are vacant. 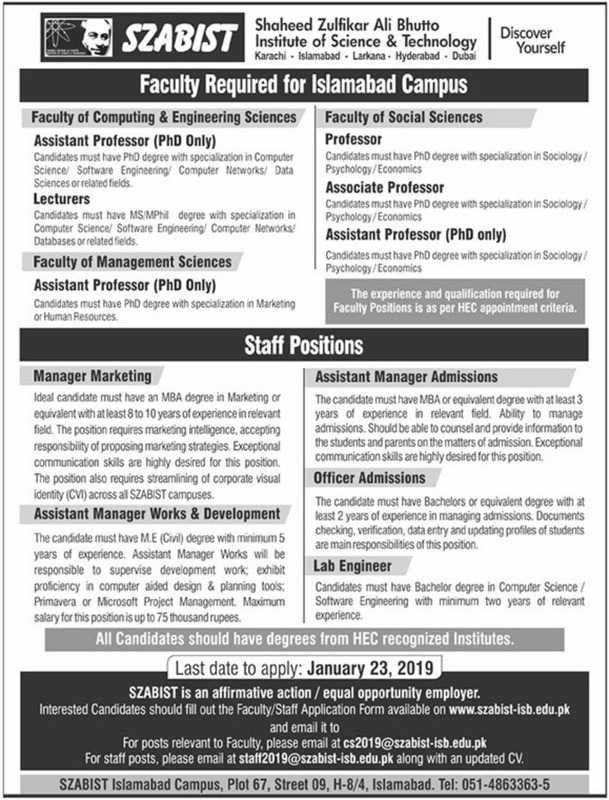 For further details, visit SZABIST website www.szabist-isb.edu.pk. The applications from willing and suitable individuals should receive upto 22nd February 2019. Late received applications will not be entertained.